Don’t you just hate it when a little upset stomach ruins your desire to eat one of your favorite foods for a long time? I won’t go into details, but after almost 5 years, I’m yet to make or eat Tater Tot Casserole. I have a dear friend who now has to take spaghetti off her dinner menu for a while thanks to a lovely stomach bug that swept through their house around the holidays and landed on her husband. And in our house, I don’t know when I can make tacos again since my husband had a little episode after eating tacos recently. Tacos, really? We love tacos! We usually have them in some form once a week. What am I going to do? 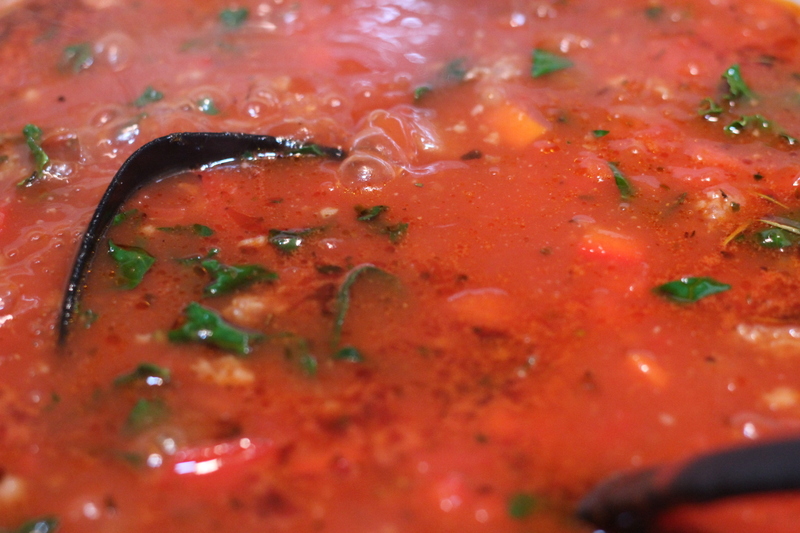 My point to all this tummy trouble talk is to tell you about this soup. 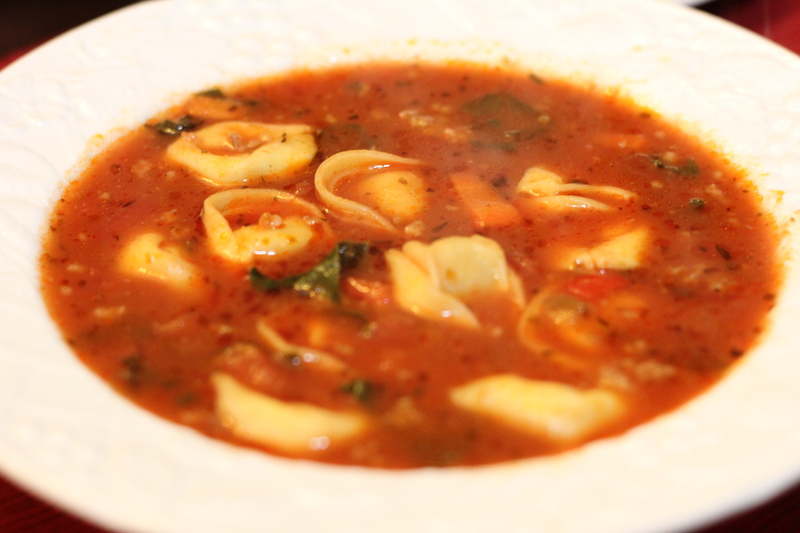 I used to make a version of tortellini soup years ago. It had polish sausage, carrots, tomatoes, and cheese tortellini. It was simple to make and full of flavor. I enjoyed it a lot! I remember making it one time when we had some friends over for dinner. They all enjoyed it too. Well the next few days after our little dinner party, I didn’t feel so great. I passed out, I got sick, and had no desire to make or eat that soup again for a long time. Turns out that I wasn’t carrying a stomach bug at all. I was a few weeks pregnant with our first daughter and the morning (not just in the morning) sickness had kicked in. So after eleven or so years, I figured I was waaaaay over that and began craving this soup again. This time, I wanted to change it up a bit from how I had made it years ago and I love it even more now! It’s quick to throw together and is full of all kinds of veggies. I even include kale in the soup so it’s even better for you and I love the added color and flavor. 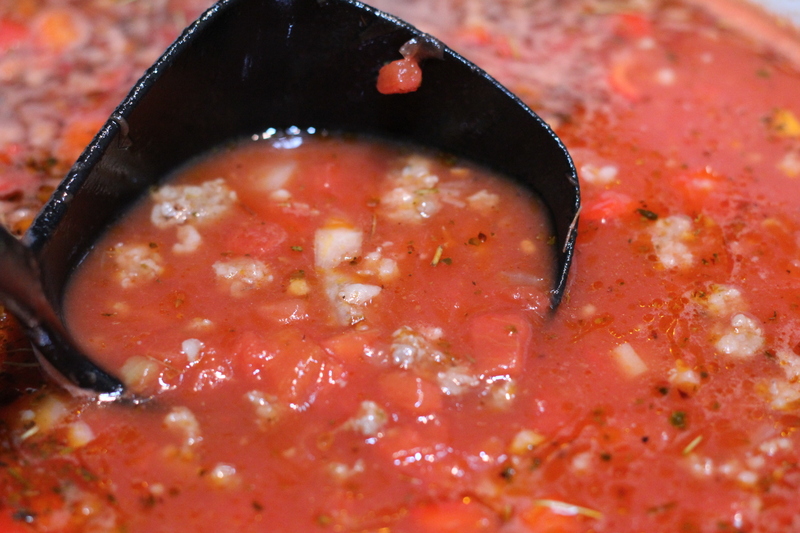 You’ll want to add this one to your soup rotation! Brown up the sausage. Add in the onions and sauté together until cooked. Add in garlic, careful not to burn. I season the mild sausage myself with Italian Seasoning and red pepper flakes because I’m a control freak and don’t like pre flavored Italian Sausage. Throw in the carrots and peppers. Then the beef broth and additional water goes in. Looking good! Taste and adjust as needed. Add in that so good for you green stuff! 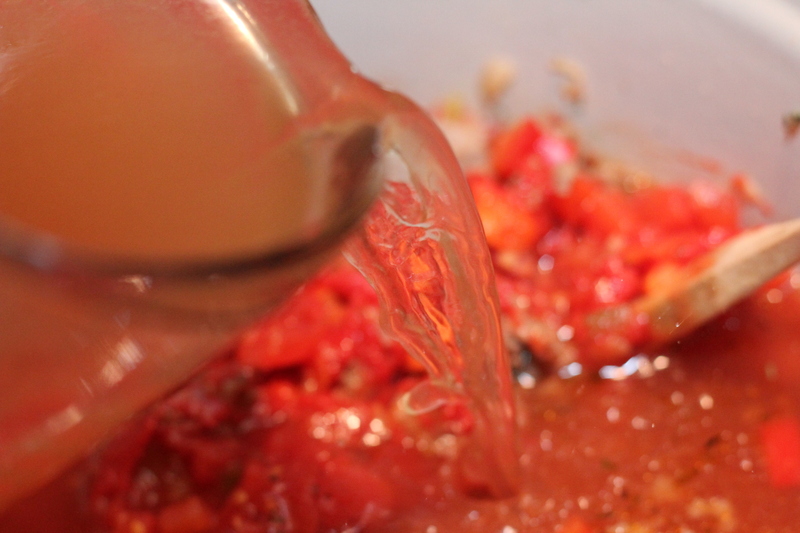 Now bring it to a boil and toss in that tortellini. 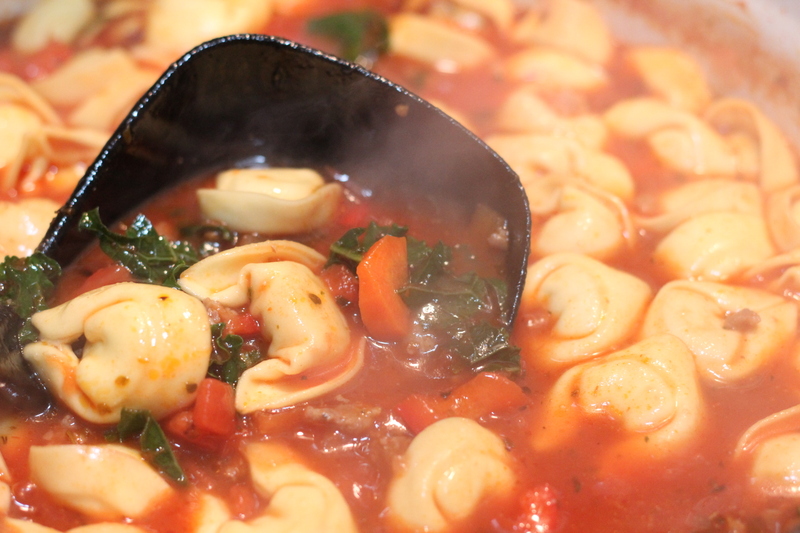 Boil for a few minutes until tortellini is done. Oh yummy! It’s all ready now! You can serve as is, or add a little grated parmesan cheese if desired. Believe it or not, I passed on the grated cheese. I didn’t think it needed it. Or maybe, I was just too excited to eat and didn’t want to fuss with it. 1 lb ground Italian Sausage or Mild Sausage. 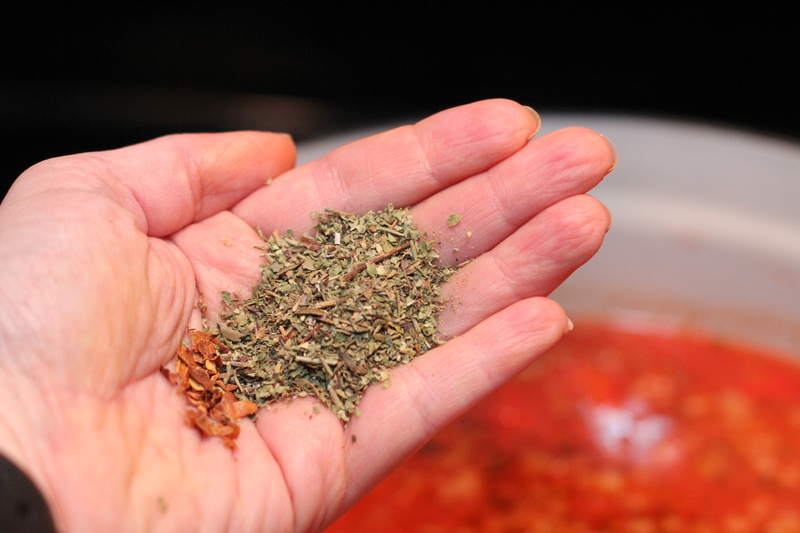 I prefer to use mild and just season it myself with Italian seasoning, red pepper flakes and salt and pepper. I use pork sausage, but you could use turkey or chicken sausage if desired. 10-16 oz fresh or frozen tortellini. Cheese or meat filled, whichever you prefer. I prefer fresh with cheese. 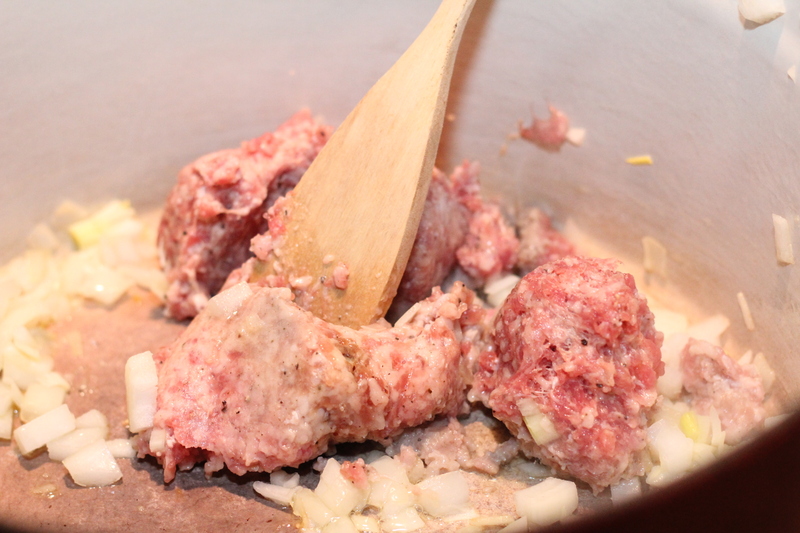 Directions – brown sausage in olive oil in a large heavy pot until almost cooked. Drain off excess fat if desired. Keep on medium heat. Add in diced onion and saute’ with sausage for a few minutes until onions are translucent and sausage is cooked. 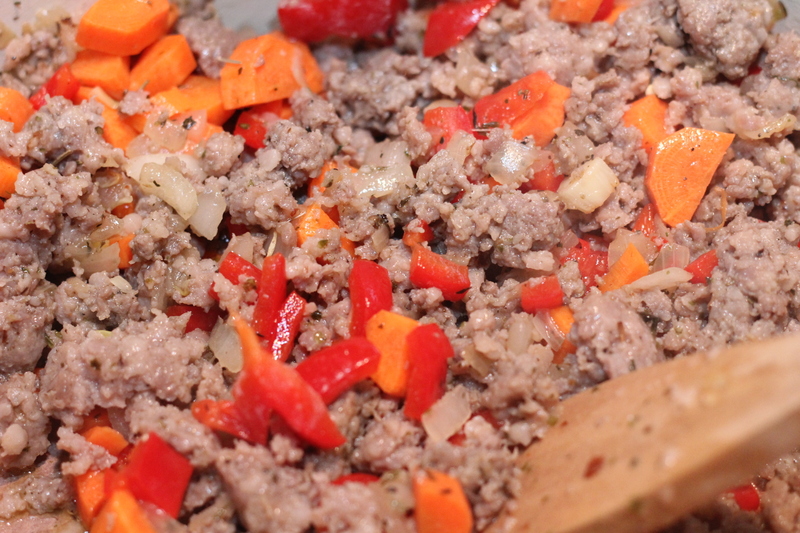 Add in minced garlic and stir. 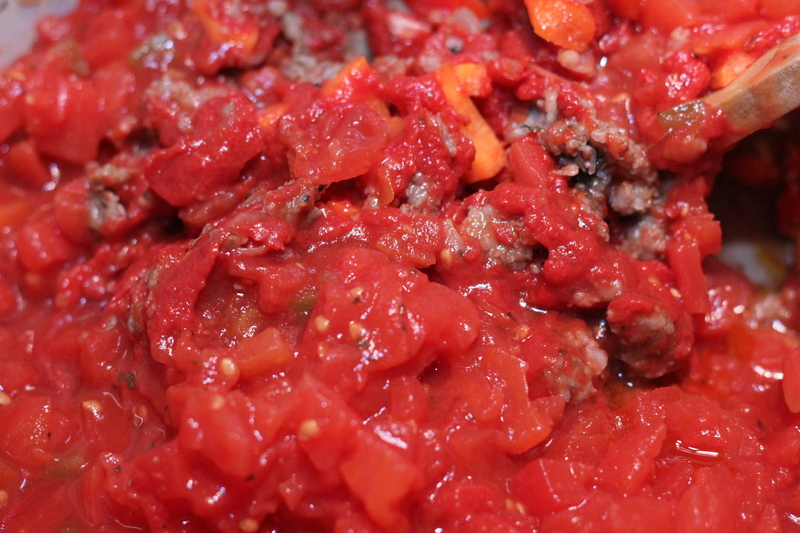 Add in carrots, pepper, diced tomatoes, and tomato paste. Pour in beef broth and add 2 more C of water. Sprinkle in the spices and salt and pepper. 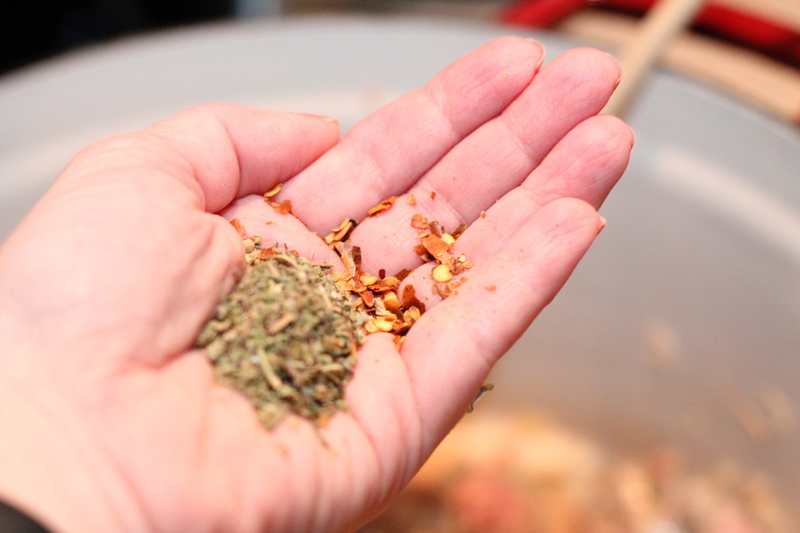 Bring this all to a boil, adjusting spices as needed. 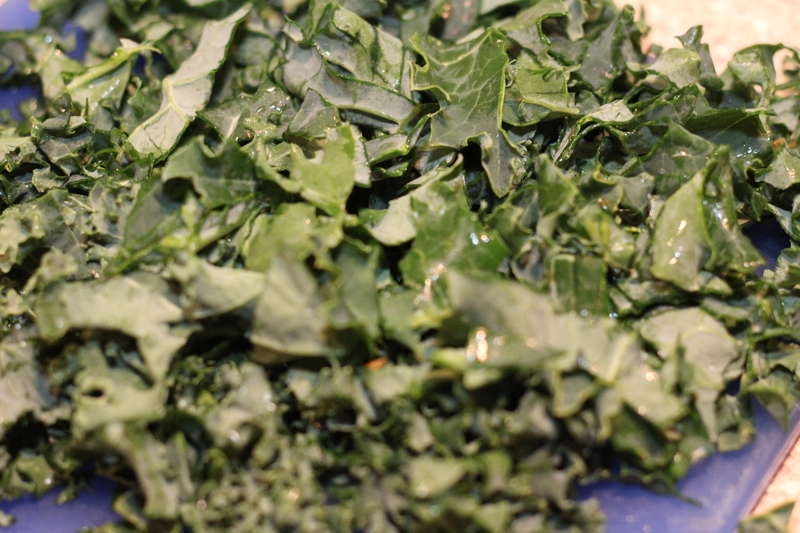 Toss in the chopped kale. 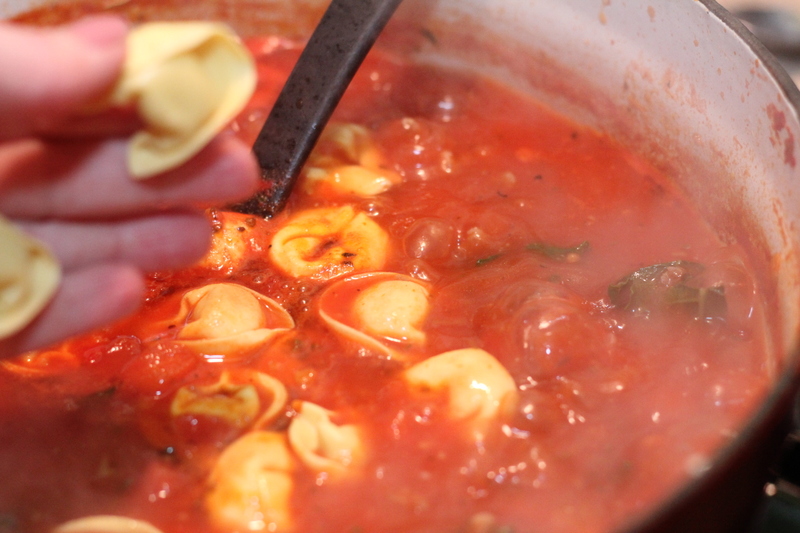 When you are close to serving time, increase the heat to bring soup to a medium boil and toss in the tortellini. Give them a little stir so they don’t stick. 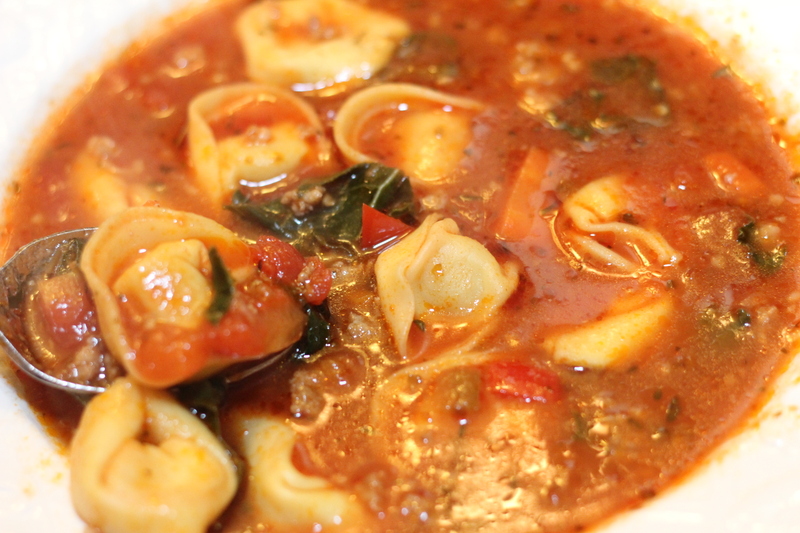 Boil tortellini in the soup for 9-10 minutes (12 -14 minutes if using frozen tortellini) and then turn the heat back down to a simmer and serve. Serve with grated parmesan cheese on top if desired.